Do you want to buy Convection ovens, grills, barbecue? Our team knows how hard it is to find the best offer in the UAE. That's why we've gathered 0 e-shops from all over the country! You can select and compare prices among 25 product offers without leaving your armchair. Large amount of offers will help you to choose device for any color and taste. We've found the best prices for you. Choose among Convection ovens, grills, barbecue from 349 AED up to 349 AED. Also you can read comments, reviews about the Convection ovens, grills, barbecue, watch photos and video-reviews. To order the product you need to go to the shop partner page and make a purchase. Don't forget to ask about payment methods and delivery! 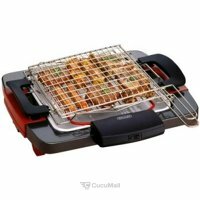 CLIKON GRILL CK2406 With Oil tray, High -speed indor grill housed in attractive stainless steel, Large cooking surface for up to 4 toaster at once , Nonstick cooking grids ensure easy cleaning, Cool touch housing, 220-240V-50/60Hz 1900-2100W. 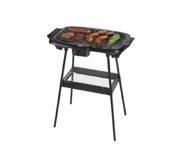 EMJOI GRILL UEG-327 "1800W. Non-stick plates. Wide grilling surface. Adjustable temperature control knob. Power on indicator. Readiness indicators. Extra wide floating hinge grill extra thick food. Cooks both side of food. Drip tray. 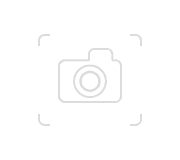 2 years warranty "
RUSELL HOBBS GRILL 17888 This versatile appliance has three different functions – it can be used flat for a panini press; angled for a lean grill; or 180° for an open griddle. The non-stick coated plates are easy to clean too. KENWOOD GRILL HG266 Grill juicy steaks and whip up stir-fry with as little grease as possible. The Kenwood Health Grill comes with features that aid in eliminating fats and oil. CLIKON GRILL CK4304 Oven Capacity : 21 liters, Grill function, Detachable Rotisserie set for meat and chicken cooking, Rotating tray, Heatproof protecting glass, watts:1500W, AC:220-240V 50/60Hz. KENWOOD GRILL HG367 1500w, easy clean, contact grill family. 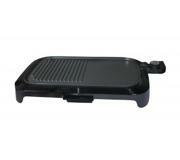 TEFAL GRILL GC300143 1700W, Cooking surface: 600cm, Removable plates.